EtoosIndia provides you the perfectly designed foundation courses for students of class 9th and 10th. The well-composed video lectures prepared by subject-matter experts fulfill the purpose of KVPY preparation, NTSE, Olympiad and other competitive exam preparation. 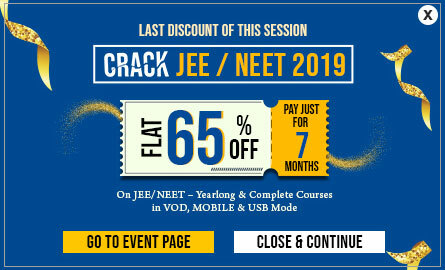 Formulated for subjects Physics, Chemistry, Mathematics, and Biology, these courses are crucial for all upcoming JEE and NEET aspirants also. By providing students with the best and advanced level of content, Etoos Foundation courses are sketched to clear competitive exams in one attempt. Questions, solutions, concepts, and theories are covered in a detailed manner so that one does not face any problem in their preparation. It’s time to get a hold on the concepts. Register for the free trial and start watching the desired content online! It is your golden chance to get KVPY coaching, NTSE video lectures and Olympiad preparation online on one single platform. Don’t miss it!